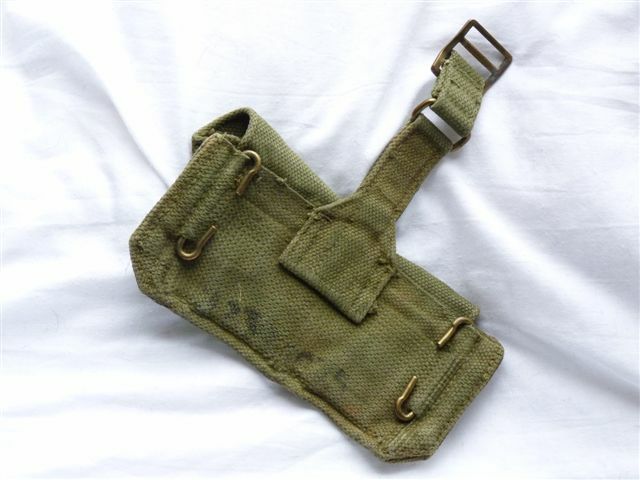 Pattern 1937 webbing ammunition pouches in excellent condition with good poppers. Fits directly to webbing belt and shoulder strap, with no hanger for a holster. 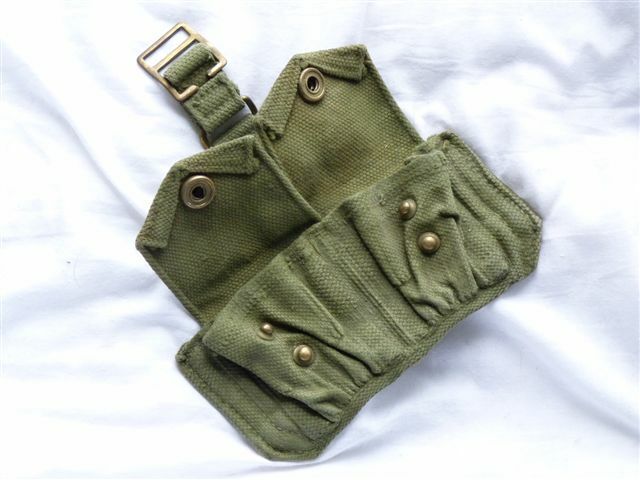 Each pouch has a divider and looks to hold 8 rounds of .303 ammunition or similar. 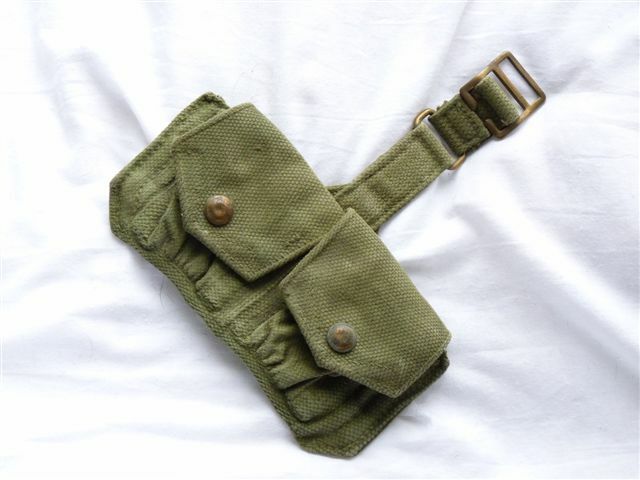 These pouches have been evenly coloured in the late war jungle green over the standard khaki.